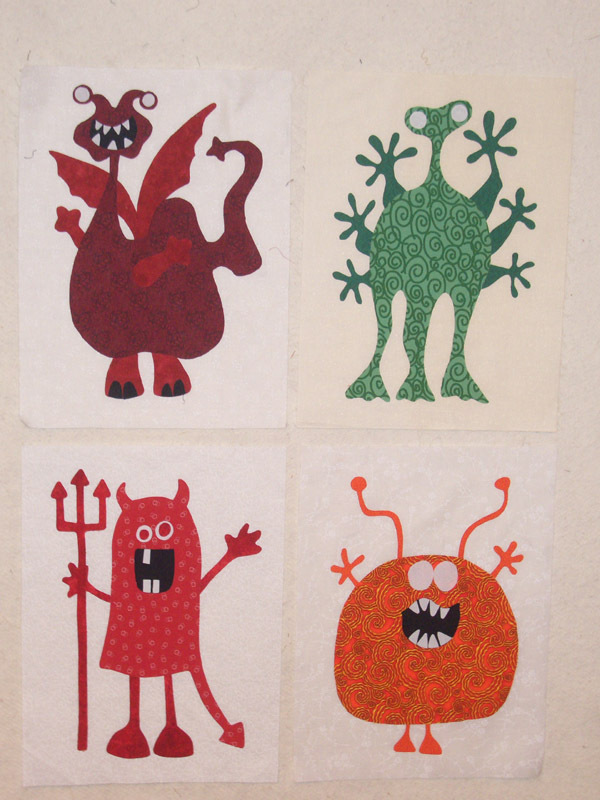 This week I am working on my Monster Quilt, which is my March UFO. Below are eight of the nine cute little guys that make up this quilt. I will be zig zaging around all the edges of the applique before sewing them all together. I have all the sashing and cornerstones ready to go, and have started piecing the half square triangles that make up two of the six borders. This will definitely take the month to finish and I am still trying to get Roll Roll Cotton Boll off the floor- have all the blocks together, just need to add the borders. Wish me luck! 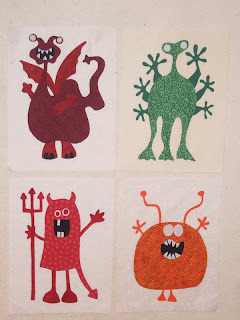 Don't forget to check out the other Design Walls at Patchwork Times. OMG! You have to stitch around all of those fingers, toes, points???? You really have a job. Sure wil be darling when finished. can't wait to see all the monsters together. What do you call a bunch of monsters? A flock? A swarm? Hmmmm. 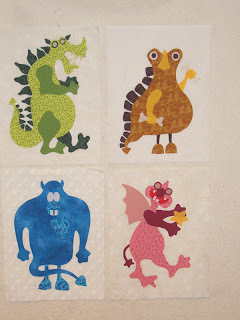 they don't look like scarey monsters, more like FUN monsters.